Historical dramas walk a pretty difficult line, in many cases: they need to be close enough to the actual historical events to still be recognized as such but they also need to possess enough of the characteristics of fictional dramas to hold their own as actual cinematic narrative. Too much of the history and you might end up with something closer to a documentary, whereas too little history and you wind up with FDR: American Badass (2012). 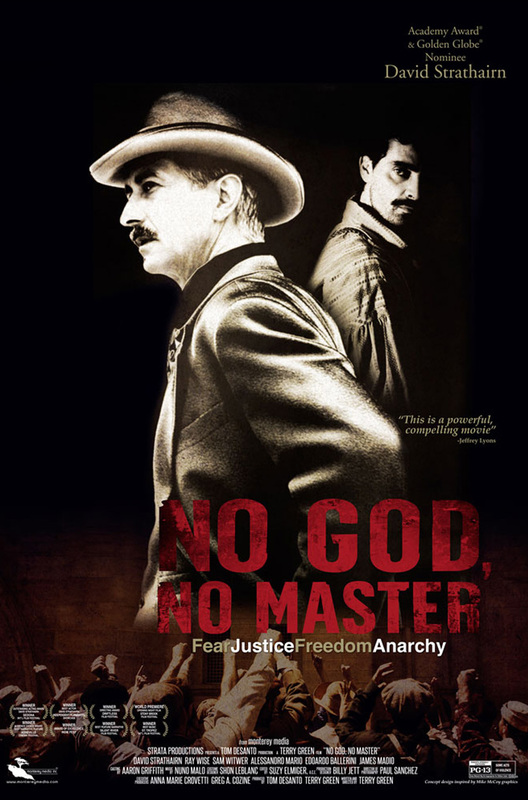 In many ways, it’s to the credit of writer-director Terry Green’s No God, No Master (2012) that I didn’t realize I was watching something based on a true story until the character of Bartolomeo Vanzetti (Alessandro Mario) made his first appearance. At that point, however, my old high school history class kicked in and I knew that I was actually watching a fictionalized account of the famous Sacco and Vanzetti trial from the 1920s. Sneaky move there, Terry. Up to that point, Green’s film had been a well-made, interesting and rather modest film about the hunt for someone mailing package bombs to prominent political figures. The person doing the hunting is U.S. Bureau of Investigations Agent William Flynn (David Strathairn), a kind-hearted, straight-as-an-arrow lawman navigating the often choppy seas of political self-interest and crooked superior officers. He’s on the case after a young delivery boy is literally blown off his bicycle after dropping one of the package bombs. Together with his partner, Gino (Sam Witwer), William ends up tracing the bombs all the way to an anarchist rabble-rouser by the name of Luigi Galleani (Daniel Mooney). Seems that Galleani wants to bring the system down the old-fashioned way: violence. Hiding within plain sight by allying himself with local labor organizer Carlo Tresca (Edoardo Ballerini), Galleani plans to blow up the various rich and powerful members of a planning commission, including bigwigs like the mayor and John D. Rockefeller. 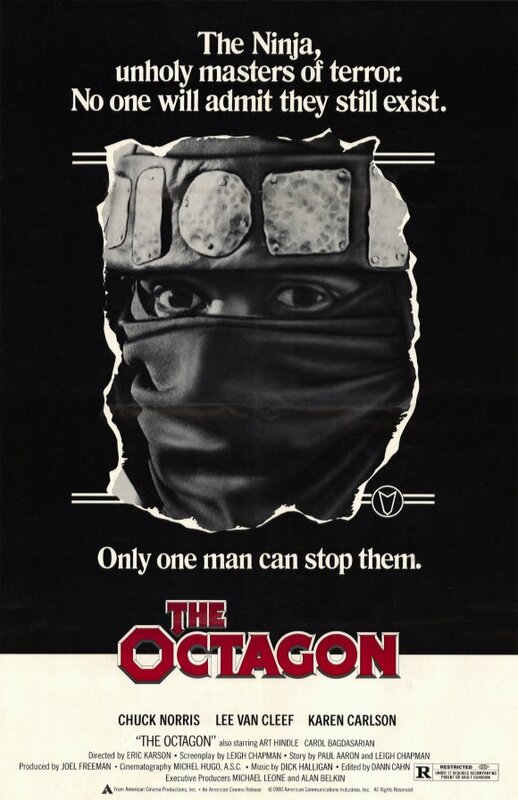 Politics rears its ugly head, however, when various crooked politicos like Attorney General Mitchell Palmer (Ray Wise) and J. Edgar Hoover (Sean McNall) attempt to use the bombing situation as a way to strike back at not only the anarchists but also at innocent immigrants and labor activists. Soon, William realizes that the people he works for are getting harder and harder to tell apart from the criminals he’s been hired to put away. Into all of this, then, come the aforementioned real-life historical figures of Nicola Sacco (James Maddio) and Bartolomeo Vanzetti. Sacco and Vanzetti are a couple of idealistic, hard-working immigrants who also happen to be anarchists and end up getting swept up in the turbulent events of the time and ground into powder by the political system. The pair find themselves framed for a crime that they didn’t commit, tried and sentenced with no thought for actual justice and executed so as to “set an example” for any who might follow in their footsteps. This, then, is really no different from the actual historical record: the fictional Sacco and Vanzetti end up the same as their real-life counterparts. What’s interesting, however, is how Green treats the pair like footnotes in the film. Truth be told, the subplot about Sacco and Vanzetti might be the weakest part of the film, feeling like more of an extraneous addition than anything actually necessary. It’s abundantly clear from the get-go that our protagonist and primary focus is the character of William Flynn: he’s the “traditional” hero, gets the most screen-time, as a complete character arc, gets a backstory, etc. Sacco and Vanzetti, on the other hand, are more like historical background, similar to the various U.S. Presidents and other historical figures who appear in the margins of films like Forrest Gump (1994) or The Butler (2013). We never learn enough about them to prevent them from seeming more like symbols or plot devices in the film than actual characters. Minor quibbles aside, however, I genuinely enjoyed No God, No Master. Strathairn is excellent as William Flynn, portraying a character that manages to be tough as nails yet strangely soothing at the same time. In many ways, the film’s look and tone reminded me of a modern TV series such as Copper or Ripper Street and I kept imagining what it would be like to have a serial that followed the adventures of Strathairn’s Flynn. The rest of the cast is suitably good, with Wise doing one of his patented slimy villain roles and Mooney bringing a believably bug-eyed zeal to his portrayal of Galleani. The whole film has a well-made, glossy feel and clips along at an energetic pace: there’s never a point where anything drags and if the film can get occasionally heavy-handed (many of the courtroom speeches in the latter half are hammered home), it never succumbs to melodrama. If anything, Green has a habit of downplaying everything, which works nicely with Strathairn’s laid-back style. As a character-driven political mystery, No God, No Master is quite good, although I’m not sure how the film stands on a strictly historical level. Certainly, the subplot about Sacco and Vanzetti feels tagged on, as if Green wanted to attach yet one more layer of relevance to the project. He needn’t have bothered: on its own, No God, No Master is an above-average drama and well worth a watch. If you’ve come strictly for the tale of Sacco and Vanzetti, however, you might be at the wrong place.